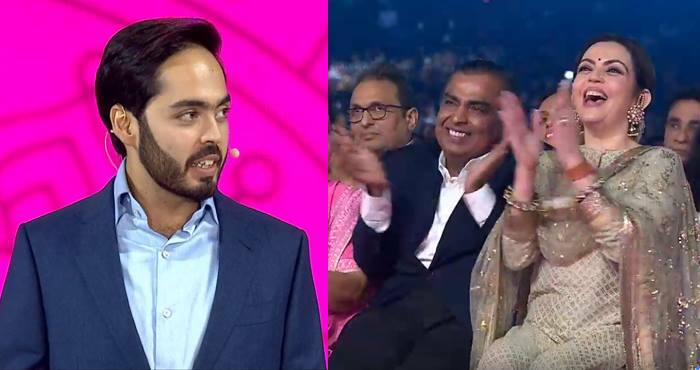 Anant Ambani, the youngest son of India's richest man Mukesh Ambani, delivered his first speech at the celebration of Reliance Industries' 40th anniversary in Mumbai, attended by his family, celebs and thousands of others. Strangely, over a week after the event, Anant Ambani, 22, began trending on Twitter on Wednesday afternoon as the video of his speech went viral. While some attacked him with unkind memes and jokes, others called out the trolls for spreading hate and also praised his speech. When you’re an Ambani, life is sorted. And this is exactly the case with Anant Ambani, who may or may not become a huge business tycoon like his daddy Mukesh Ambani, but he has surely become a meme king, all thanks to his latest speech. Anant Ambani's speech was like listening to Dhinchak Pooja song on loop. The event also saw speeches from Anant's older siblings Akash and Isha - seen by many as the company's attempt to pitch its next generation of leaders. In July 2017, it was twins Isha and Akash who launched Reliance Jio's feature phone.